Dazzle teens with a film collection custom-designed to fit their interests and tastes! If you would like to build or develop a film collection with guaranteed teen appeal, this guide is for you. It discusses what's current, popular with teens, and available; and provides annotated core filmographies in categories of heroes, exploring issues of identity, strong emotions: horror and humor, and educational entertainment. 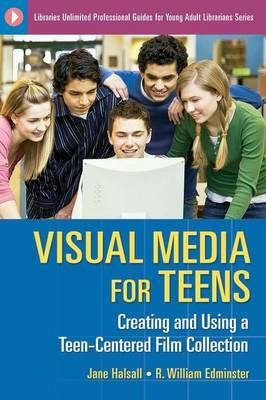 In addition, the authors address popular culture influences on teens, technology and format issues, how to get teen input, where to find reliable review sources, programming with films, and promoting and merchandising your collection. Packed with ideas as well as nitty gritty information; this guide fills a gap in the literature and a real need for the profession. Dazzle teens with a film collection custom-designed to fit their interests and tastes! This guide is designed for those who would like to build or develop a film collection with guaranteed teen appeal. It discusses what's current, popular with teens, and available; and provides annotated core filmographies in categories of heroes, exploring issues of identity, strong emotions: horror and humor, and educational entertainment. In addition, the authors address popular culture influences on teens, technology and format issues, how to get teen input, where to find reliable review sources, programming with films, and promoting and merchandising your collection. Packed with ideas as well as nitty gritty information; this guide fills a gap in the literature and a real need for the profession.